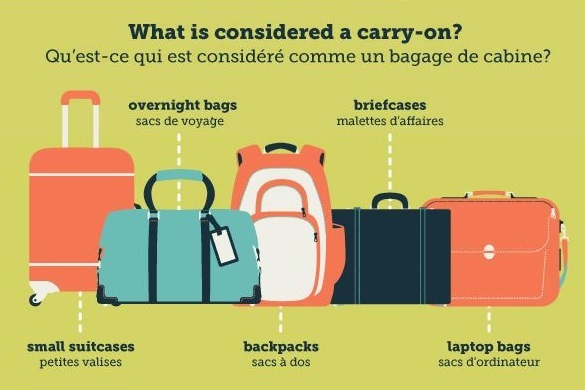 Roblin Travel & Cruise > Travel Blog > Travel Tip Tuesday > General Travel information > What is considered a carry on? Check with us or your airline to confirm the acceptable number and carry-on allowed onboard. 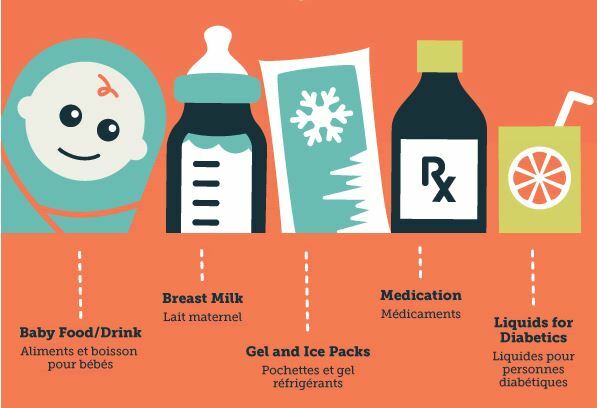 Liquids, Aerosols and Gels, This includes many items like food, drinks and personal toiletries. Pack your 1L bag at home. Be ready to remove it. Place it in the bin to make it easier and faster to get through security. 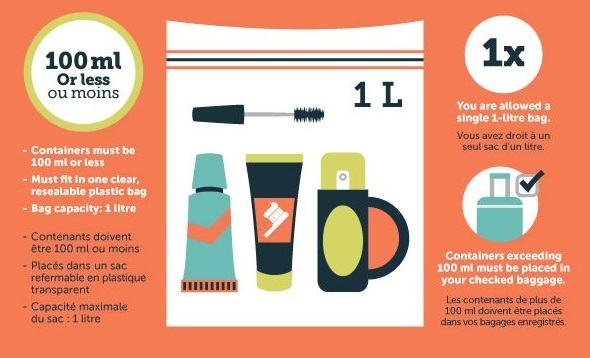 Certain items are exempt from the 100ml limit and do not need to be in a plastic bag. However, be ready to show the screening officer for inspection. Solid food items, such as sandwiches, apples and granola bars are permitted in your carry-on. We hope this helps you on your next vacation!